There are several signs that your roof may be beyond a simple patch job or short-term roof repair. Exposed underlayment, cupped or cracked shingles with missing granules and curling edges, are all clear signs that homeowners need a roof replacement in Battleground. Plus, your roof only lasts about two decades before it looses both its function and curb appeal. 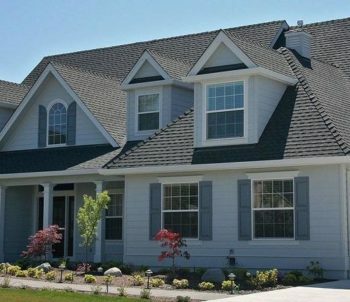 At Ridgeline Roofing, our roofing contractor service will inspect your roof’s wear and tear. We look for less costly ways to repair your roof before taking major steps to replace your and come up with a plan to replace your entire roof with a new, durable, and lifetime-warranty rooftop. Our methods of replacing roofs rely on the quality and craftsmanship of our highly trained and experienced roofing contractors. Here’s what you can expect when we prepare your roof for replacement. Where other contractors cut corners, our roofers take pride in a job well done. Tearing Off Shingles: We tear off your old shingles and strip the roof down to the baseboards. Clearing Off Old Underlayments and Flashing to the Plywood: We replace any damaged or old flashing and underlayments with new materials. We also repace plywood if we see rotting or water damage. Putting Down New Plywood, Underlayments and Flashing: We lay down ice and water barriers over new plywood. Installing New Shingles: We’ll install top-quality asphalt shingles that have a lifetime warranty. As mentioned before, roofs show a number of signs over time that either demand a short-term repair or an aggressive, long-term replacement. 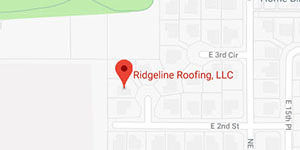 If your roof is showing any of the following signs of damage, make an appoint with Ridgeline Roof today. If you aren’t sure if your roof needs either small repairs, re-roofing, or a full replacement, call us. Our roofers will come out to your home and give a free inspection. We’ll offer you a lasting solution to fixing your roof within your time frame and budget. Roofing can be a delicate business. In order to successfully complete a roof replacement, we take great care in planning and following through with our processes. Ridgeline Roof cnsiders the particulars of each building before beginning construction. 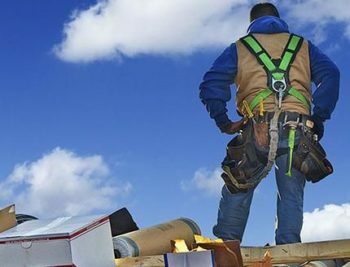 Our roofing contractors have gained a sterling reputation for roofing repairs, re-roofing, and replacement around Portland Metro and Southern Washington.